It's that beautiful time of the year! Time to open up the windows to let the fresh spring air in and clear out all the winter dust and grime with a heavy-duty spring cleaning. Now I know no one actually likes to clean, but we all know it needs to be done which is why I'm here today. To help make your spring cleaning a little bit easier I'm sharing our list of the best products for spring cleaning. From battling odor causing mold and mildew to combating tough grease stains in the kitchen and beyond, even properly nourishing wood surfaces to restore shine, we're sharing some of our favorite products that go beyond daily and weekly dusting. 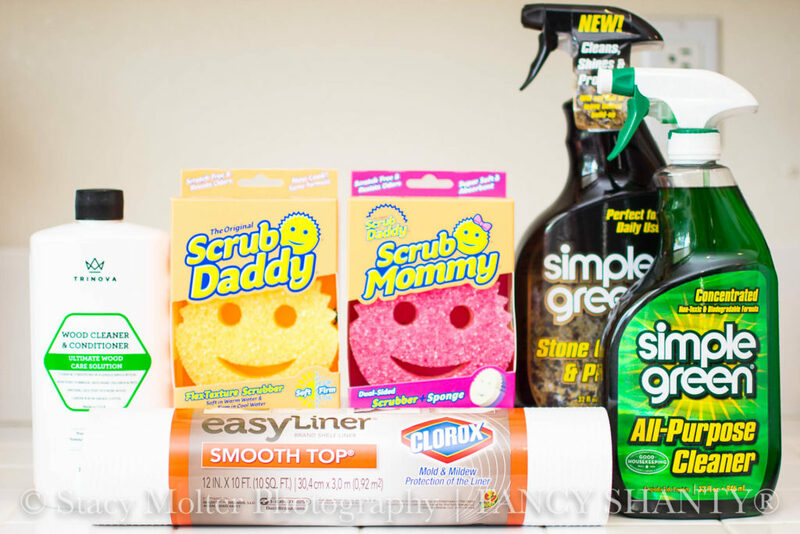 Each of these products has been strenuously tested in our own home with four very active children, and we're sharing with you why we chose these products and the best products for spring cleaning. In this exclusive post, we're also sharing discounts to many of the products featured so you will feel great about trying them yourself. First on our list of the best products for spring cleaning is the Easy Liner® Brand Shelf Liner by Duck® brand. 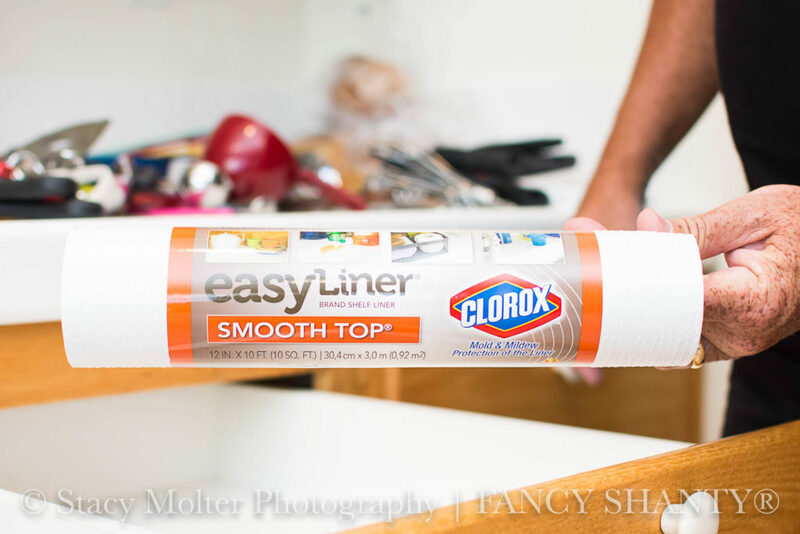 Not only does Easy Liner now includes Clorox® antimicrobial protection to prevent the growth of odor-causing mold and mildew, this product features an antimicrobial additive embedded into the shelf liner material that will not degrade over time and remains active as long as the product is in use – even after washing. 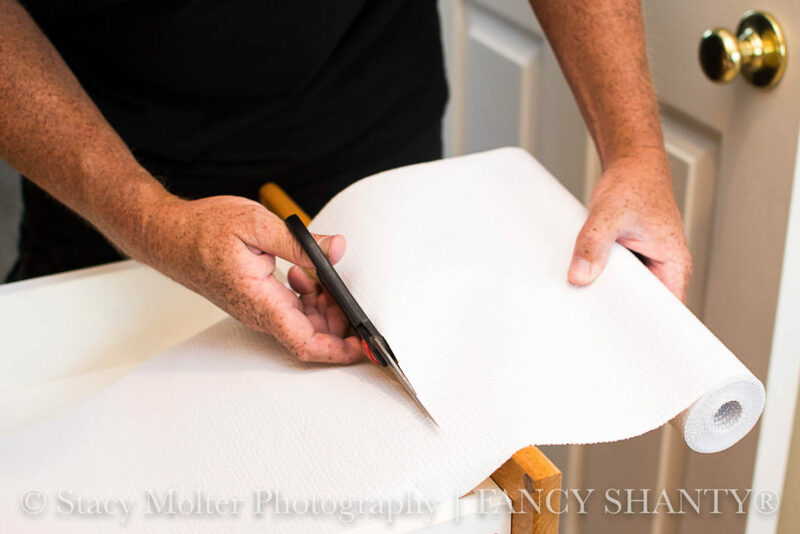 With a non-adhesive smooth top that lets objects slide across the surface with ease while the grip bottom keeps the liner in place, Easy Liners features an easy-to-wipe surface allows for quick clean up. making them ideal for use in all areas of the home, even the refrigerator (although, not suggested for direct contact with raw foods). 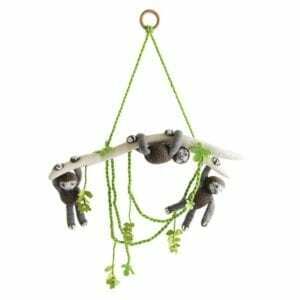 Why do we love this product? If your kids are anything like our's they probably put away clean dishes before they're fully dry. Thanks to the water-resistant material in Easy Liner, we worry less about antimicrobial mold and mildew on our clean surfaces. 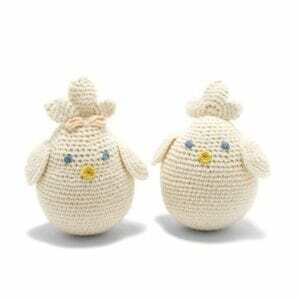 You can find Duck Brand Coupons here. Easy Liners are available in White and Taupe in 12” x 10’ and 20” x 6’ rolls. Simple Green All-Purpose Cleaner- Concentrated Simple Green can be diluted to clean tons of messes in and around your home. 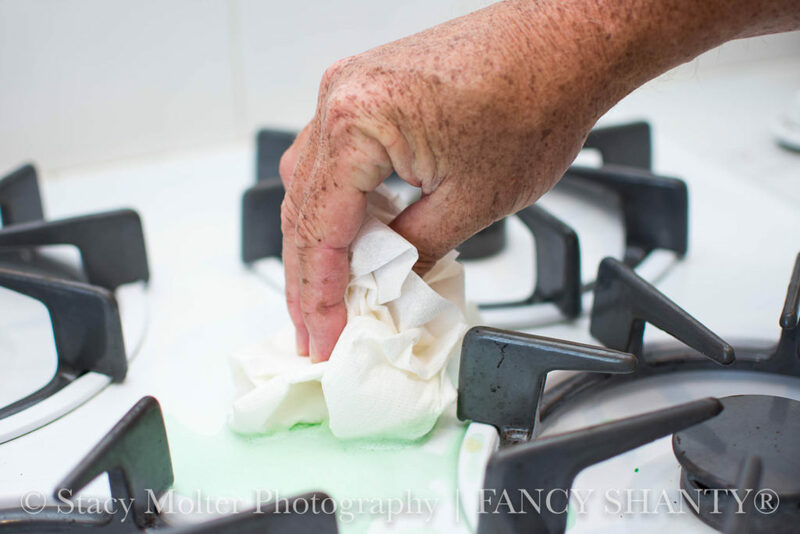 From floors and walls to pots and pans, toys to countertops and tabletops, it only takes a little Simple Green to get big jobs done around the house without the need for a number of costly specialty cleaners. 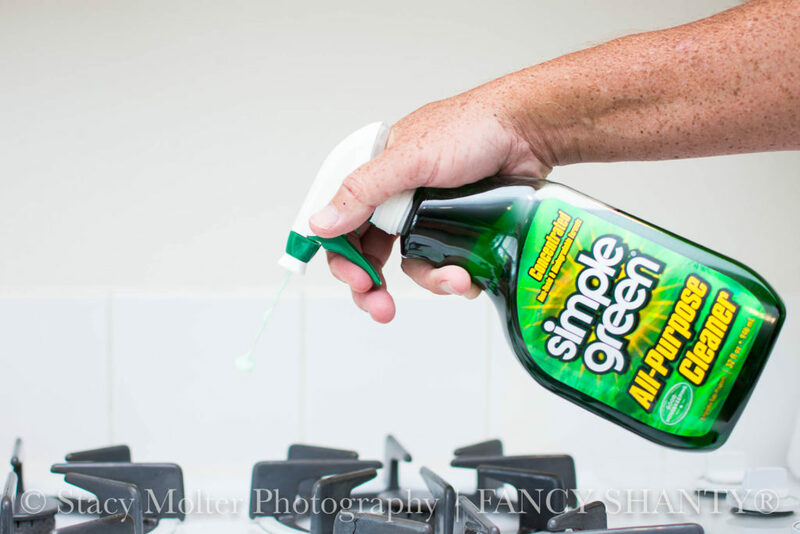 Simple Green Stone Cleaner & Polish- Simple Green Stone Cleaner & Polish combines the cleaning power and polishing protection of two products in one easy to use solution. It's non-abrasive, the streak-free formula is perfect for daily cleaning easily keeping granite, marble, travertine, limestone, porcelain, ceramic, quartz, and more looking like new. A simple spray and wipe remove dirt and grime, creating a satin gloss that helps protect your stone surfaces and reduces wear. Since we're always on the hunt for simple solutions to life's toughest problems, Simple Green fits perfectly into our busy family's lifestyle. 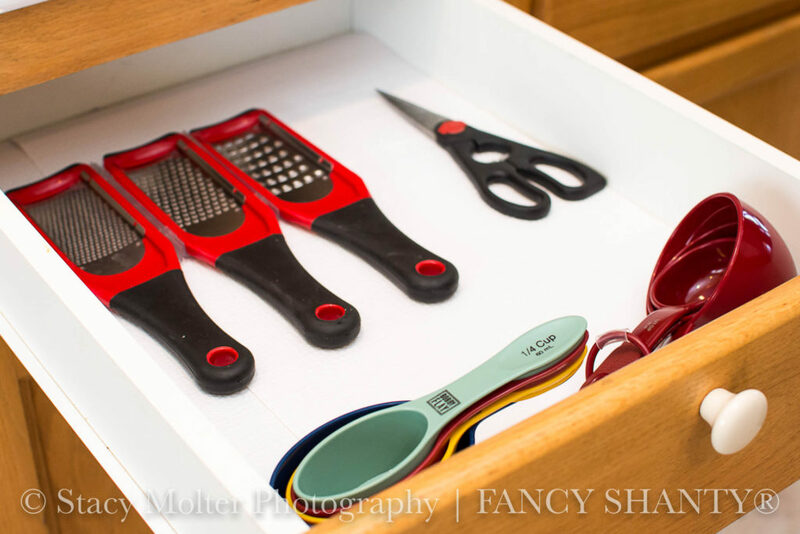 Being able to grab one product to help with everything from the kitchen to the laundry not only saves us time but money too. For a limited time, you can save $1.75 on any Simple Green product. Confession time. I can't touch a sponge. Not because they feel gross or grimy, but believe it or not I can smell a sponge on my hands even hours after I use one. Even a new sponge. That's where Scrub Daddy and Scrub Mommy comes in. The original Scrub Daddy® not only rinses clean after easy use and stays odor free for up to eight weeks, he can scrub surfaces far beyond the kitchen because he is lab tested to never scratch. Adjust his FlexTexture® foam to fit your cleaning needs; soft in warm water for a sponge-like consistency and firm in cold water for tough scrubbing. 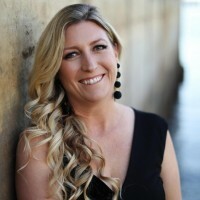 New to our family is the Scrub Mommy. 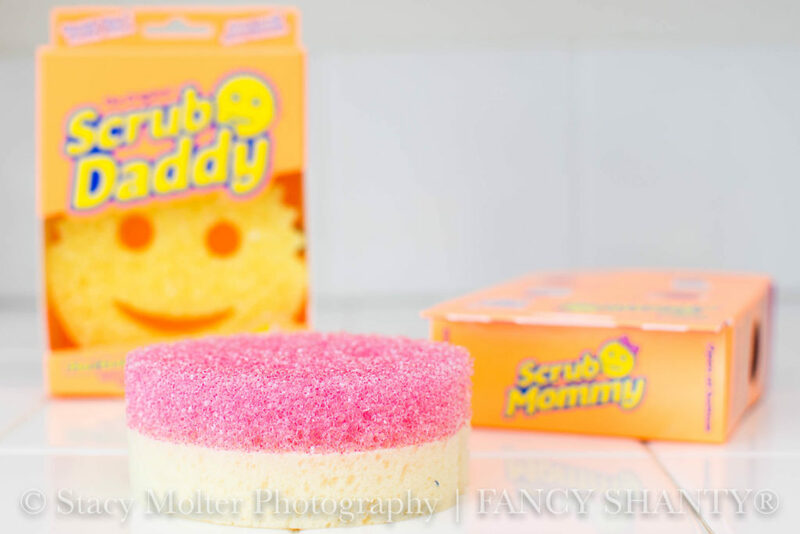 Scrub Mommy features a dual-sided design in what makes this happy helper our “multitasking Mommy.” Scrub Mommy’s FlexTexture® side delivers the same benefits as The Original Scrub Daddy® but in pink, purple and blue hues. Her soft and spongy ResoFoam ® side is 6x more absorbent than the competition and generates 60% more soap suds. Available in a 1, 2, and 3 counts. 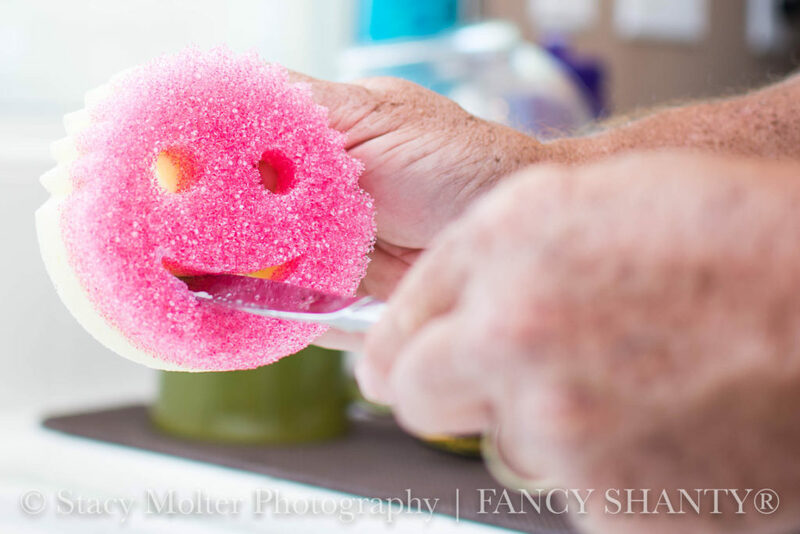 Our favorite features of Scrub Daddy and Scrub Mommy are the eyes for tight gripping and the mouth which cleans both sides of the utensils. Best of all, you can sanitize Scrub Daddy and Scrub Mommy in the top rack of your dishwasher or microwave. Rounding out our list of the best product for spring cleaning is the TriNova Wood Cleaner and Conditioner. TriNova Wood Cleaner and Conditioner is a spray-on, wipe-off treatment that goes beyond cleaning the surface to condition and nourish wood surfaces, removing stains and restoring shine. Now, you can keep wood floors and surfaces looking their best: shiny, clean and dust-free. TriNova works on stained and unstained surfaces including cabinets, hardwood floors, and furniture. 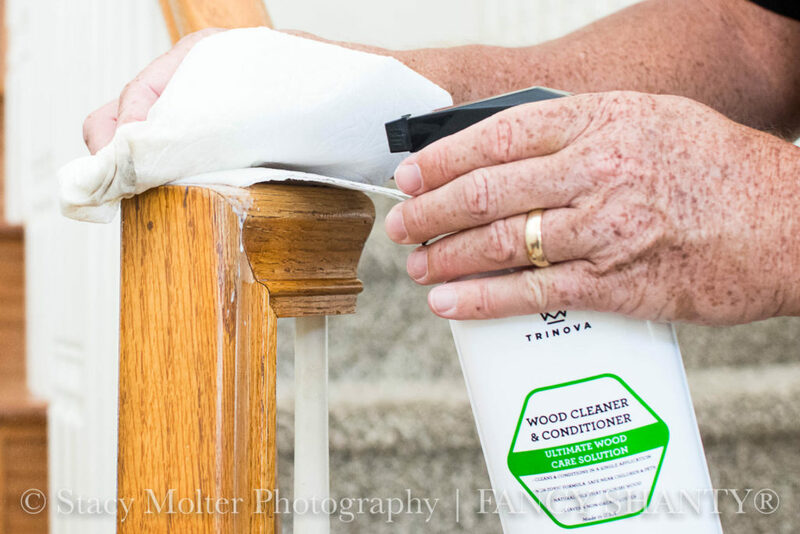 TriNova Wood Cleaner and Conditioner is a life saver if you have stairs and children. The dirt and grime from dirty hands on the stair rails wipe off with ease like never before. 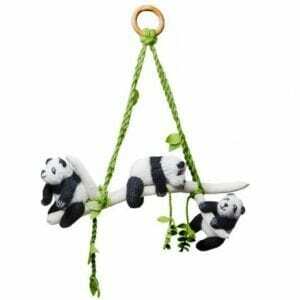 If you have stair and children, I promise you will love this product! For a limited time, save 20% off TriNova with discount code BABBLE20 at checkout. 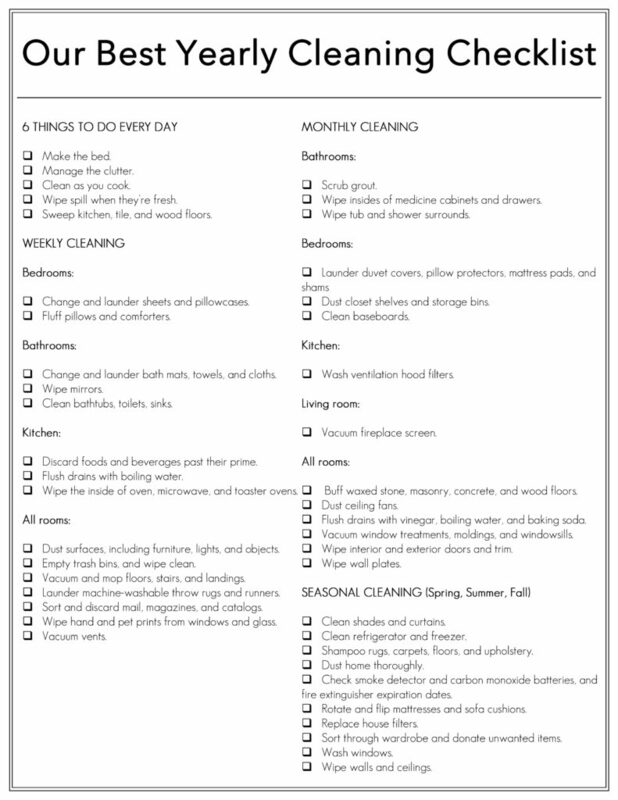 Finally, as a gift for you to help you get through spring cleaning and beyond, we're sharing our best yearly cleaning checklist to keep your house fresh all year long. To print a .pdf version of our list, simply click on the image below. We hope you love our best products for spring cleaning as much as we do!